Even that title looks like a looming disaster for Audi. It’s like when Lionel Messi takes on several opponents at once as if that would make it fair … but then humiliates them all. Also, apologies to Audi for starting with you. Perhaps it was due to the alphabetical primacy. Perhaps it was due to Audi being such a popular brand in the segment the Tesla Model 3 is clearly targeting. 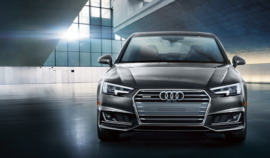 Or perhaps it was simply because I like the design of Audis, I bought an Audi as my first car as a teenager (at a time when buying an Audi was not normal or advised), and I used to be in love with the Audi A4. Anyhow, apologies to Audi for starting with you — we’ll be running comparisons with other Model 3 competitors shortly. ◊ The value of a zero-emissions vehicle is invaluable for many people. The existential threat global heating poses for society isn’t worth gambling with. The trillions of dollars in health costs and hundreds of thousands of premature deaths from air pollution are not moral or sensible to many when they have alternatives. However, others prioritize small personal preferences over all of that, and some people have even been to brainwashed by the pollution industry and all their minions that they think pollution is somehow good, and turning the planet into a fireplace is somehow sane. So, I am also leaving the climate and health benefits of the Model 3 out of the equation. ◊ For that matter, the societal benefit of buying a national security bulldog is being left off the table too. ◊ Tesla says the Model 3 seats 5. How comfortably it seats 5 is something I don’t feel confident enough to comment on at this point. Some of the cars to which we compare it seat 4, some seat 5 — I don’t generally have enough experience with them or the Model 3 to compare in a practical way, so I’m just leaving that off the table until we get inside these cars for a careful comparison. ◊ The Tesla Model 3 will come with hardware that could one day allow for fully autonomous transport, but it’s unclear when the software will arrive, what it will cost, what default semi-autonomous features will do, and how all of that will compare to competitors. I assume the Tesla Autopilot features will outperform what any competitors offer for a long time to come, but I may be wrong, so I’m leaving that out as well for now. ◊ Obviously, once we have some real time with the Model 3 (not just standing on the test track for 2 hours filming and photographing it), we’ll have much more to say … and you know we will. The Audi A3 — if you look at the base price compared to the base price of the Model 3 after a $7,500 US federal tax credit for EVs (and/or state EV incentives) — is the closest in price alone. Acceleration isn’t dramatically different, but the Model 3 clearly wins (by a full second). Furthermore, though, there’s an element not captured here that will have a big impact on the experience of drivers and riders. The instant torque of an electric car is dramatically different from the slow rise of a gasmobile. People who experience the 5.6 seconds of a Model 3 and the 6.6 seconds of the A3 will feel like the Model 3 was much, much, … much quicker. While some fuss has been made about the trunk space of the Model 3 (or what people think the trunk space will be), according to info from Tesla and Audi, Model 3 trunk and frunk space add up to 14 cubic feet whereas A3 trunk space adds up to 12 cubic feet. I almost didn’t include the A3 e-tron in the comparison here, even though it’s probably the most comparable since it can also benefit from convenient home charging, can drive on zero-emission and domestically produced electricity, and can offer some instant torque. Why wouldn’t I include it? It seems that the model is not widely available in the US and Audi isn’t really trying to sell it. Anyhow, though, let’s throw it in. 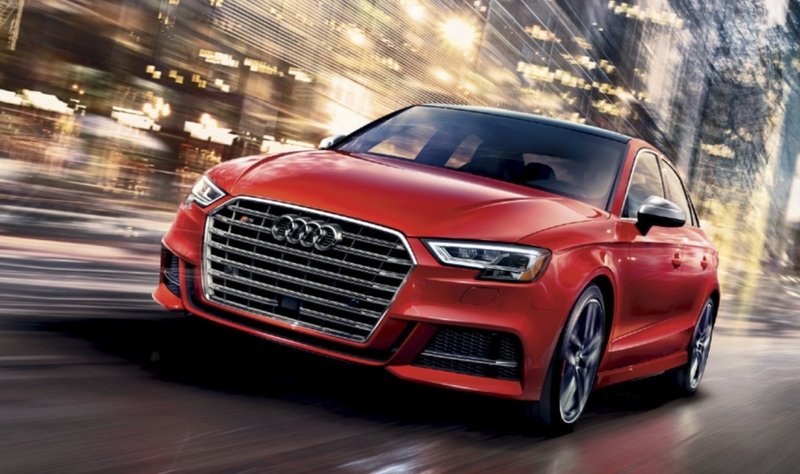 The Audi A3 e-tron matches the Tesla Model 3’s 14 cubic feet of storage space, but it also loses another second on the 0–60 mph time. Frankly, 7.6 seconds with help from a clunk, noisy, delayed gasoline engine is going to feel like one Miami minute compared to the Model 3. Sadly (for Audi), the A3 e-tron is actually more expensive than the Model 3. Now, hey, let’s step it up a bit. How about the Model 3 compared to the Audi A4? The A4 is indeed pretty close to the Model 3 on the key specs I’ve highlighted — 13 cubic feet of cargo space (A4) versus 14 cu ft (Model 3), 6.1 seconds (A4) versus 5.6 seconds (Model 3), $35,000 versus $35,000 (before any EV tax credits or rebates). However, again, 5.6 seconds in an electric car feels much faster than 5.6 seconds in a gasmobile … so it certainly feels much faster than 6.1 seconds in a gasmobile. 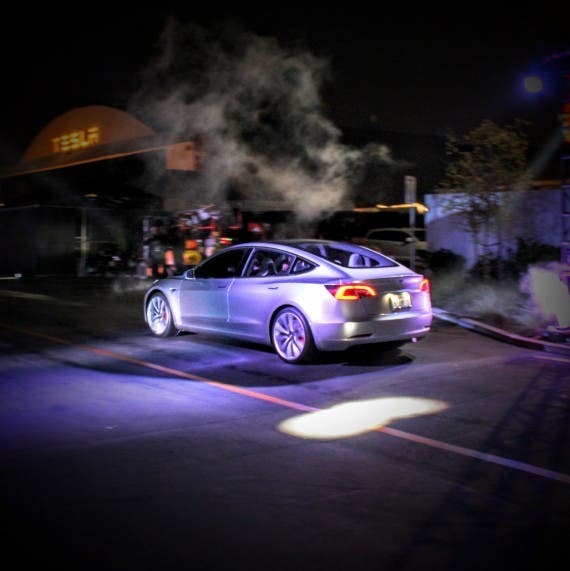 And it’s not just about fun — that instant torque that makes electric cars seem so fast off the line is tremendously useful in the 0–25 mph or 0–35 mph space that is useful for getting into moving traffic and out of a dangerous situation. It cuts stress for grandmas as well as teenage boys. The A5 Sportback is a bit of a different animal, but I figured we’d squeeze it in here as well. After all, the matchup for the specs I decided to highlight is pretty tight. The A5 Sportback is just a split second slower than the Model 3, according to specs from the two companies. However, it doesn’t offer nearly the cargo storage space in the trunk (and trunk + frunk in the Model 3’s case). When you look at price, however, the Model 3 shames the A5 Sportback — $35,000 before any tax credits or rebates versus $43,000. And that doesn’t even take into account that the A5 Sportback will cost a lot more to fuel up than the Model 3 will cost to charge. I pulled out one more Audi that I thought deserved a run at the Tesla Model 3. 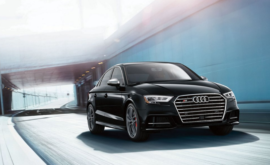 The Audi S3 may not be the first car that comes to mind when you think of a conventional Model 3 competitor, but it’s the best Audi matchup if you are thinking of the Model 3’s core consumer benefits as being small, quick, and sporty. The S3 is quicker than the Model 3 (4.7 seconds versus 5.6 seconds). I wouldn’t be surprised if the Model 3 still felt quicker and won from 0–30 mph, but give the S3 some props for apparently winning in a life-or-death race to 60 mph. It has very poor cargo space, though — 10 cu ft (versus the 14 cu ft Tesla claims for the Model 3). Furthermore, where the S3 really takes a hit is on price. Despite not offering much to brag about compared to the Model 3, the S3 comes in at $43,000 on the low end. That doesn’t compare well to the Model 3’s $35,000, or potentially $25,000 in California after incentives. I’d still choose the Model 3 over any of these Audi options, of course, but the big question is how many normal humans will decide to ditch or ignore the Audi styling and interiors for a fresh Tesla Model 3. Any guesses?